Our Members are our lifeblood; the money from their subscriptions helps to keep the Museum running and all our trustees, officers and staff are drawn from their ranks. Without our Members, there would be no Museum. In return for their support, the Museum provides a range of benefits for Members. Membership of the Trust is open to all who support our aims and objectives and we always welcome new Members. Read on to see how you can support us and the work we do. a quarterly magazine packed with information, articles, reviews and photographs. Couples and families will receive one copy posted to their registered address. plus the satisfaction of knowing that your membership fee helps towards keeping London’s bus heritage alive. And, of course, the opportunity is there for you as a Member to volunteer at the Museum with all kinds of roles available (see ‘Volunteering‘). We urge members to pay by direct debit. This reduces costs and also saves our volunteers time. As a “thank you” members paying by direct debit will get a discount and their new card will arrive with the magazine before their old one expires. Over the years the development at London Bus Museum has been extraordinary and we’re sure the future holds even more superb opportunities for our Members. 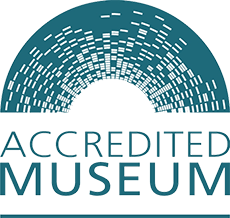 To join the Museum Trust, or change your payment to Direct Debit, please fill in the Membership Application Form or take make an enquiry click here.